Always ready: Laco squad watches. Given the history of the aviator watches and maritime watches, it was only a small logical step towards developing a Laco squad watch.  This entailed meeting high standards and requirements, especially for outdoor use. When all is said and done, the characteristics of quality, robustness, and clear design have always been the main focus of a Laco watch. In close cooperation with fire departments, the police, and the army, resulted in uncompromising mechanical watches made in Germany. The wearer can always rely on them - among other things, because you can be sure that the battery will not suddenly fail at the wrong moment. With our squad watches we offer a robust solution for daily use in the harshest of conditions - combined with a simple and unique design. Precision work, made in Germany. 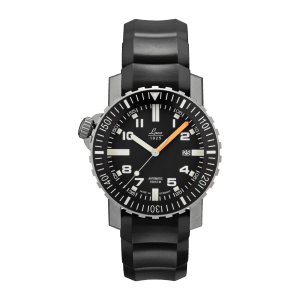 Thanks to Laco expertise, when it comes to producing high quality marine and aviator watches, our experienced watchmakers have also been making accurate squad watches for many years. 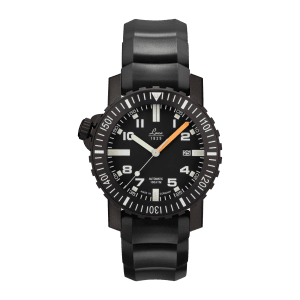 This is why the handcrafted squad watches from Laco not only feature an unconventional crown position and magnetic field protection, but are also equipped with a helium valve and screwed in natural rubber band. The contrasting hour and minute hands, coated with Superluminova C3, give our squad watch its distinctive design while ensuring optimum readability - at any time, day or night. Hard and double-thickness sapphire glass reliably protects the brightly lit, fluorescent numerals and hands. The screwed mineral glass base provides an insight into watchmaking - and is, depending on the model, waterproof up to 100 ATM. 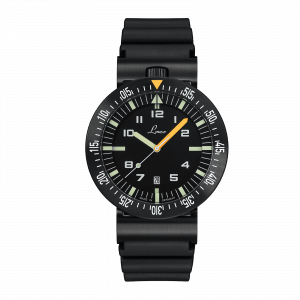 Extremely precise, even in the deep: the watertight durability of squad watches. Squad watches by Laco, depending on the model, provide water resistance of up to 100 ATM. But what does that actually mean? The following table gives you a good overview of different scenarios depending on the capacity of your Laco watch. *Table and data are taken from the current FAQs. The watch is resistant to sweat, raindrops and splashes. The watch is waterproof, however, you should not swim with it or take a shower (a swimming stroke, for example, can generate a pressure higher than 5 ATM). The watch can be worn for snorkelling. The watch is suitable for diving. Our tip for long enjoyment of your Laco squad watch: check the water resistance of the watch regularly, ideally once a year.